@bathtubdoritos Of course you can make teams with any legendary or other dragon. There are many other (4-elemental) dragons which can be put on any team and I can figure out any perfect combination, it just takes time. Could you tell me which heroic you have and the other dragons you own? When I have them I can make a "perfect" team for you if you want. If you want help building good/perfect dragon teams I can make them if you request me in a private message on the forum chats. 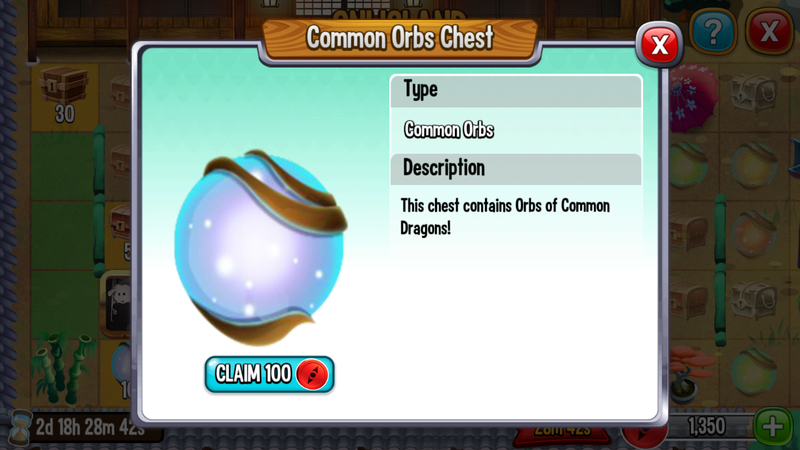 I will update this thread every time a new heroic dragon comes out, I might also add a message including perfect combos that do have duplicate types, but do crit all elements. What I mean with a perfect heroic team is a team that covers all of the elements, which means that you will be able to hit every dragon super effectively except for the ancient elements of course. If you want to you can also make perfect heroic teams that cover all weaknesses that do have duplicate types, the purpose of this post was to show that if you want to optimise your team that this may be an option, but you can also cover all 13 elements while having duplicate as I wrote before. I'm sorry I am missing something, I do not understand where you are going with this and to what advantage it will offer. Can you please explain how this will help with a "perfect" heroic team?? All 12 elements in one team, light or terra can be deleted. High Fenrir= Ice, Pure, War, Electric X Nucleus, Tension, Guardian, Priest, Comet, Realm, Entity, Supremacy, Spirits, Amuka, Star, Queen, Purity, Tech, Snow, Celestial, Superstition, Resolution, X Score, Feral, Reverie, Zephyr. Tidal, Octane, Portal, Yggdrasil, Commander. High Nucleus= Pure Nature, Terra, Metal: X Fenrir, Tension, Guardian, Tidal, Realm, Entity, Supremacy, Spirits, Star, Queen, Purity, Octane, Tech, Snow, Portal, Celestial, Superstition, Resolution, Score, Feral, Yggdrasil, Commander, Reverie. Priest, Comet, Amuka, Zephyr. High Tension= Electric, War, Metal, Dark: X Fenrir, Nucleus, Guardian, Priest, Tidal, Realm, Supremacy, Amuka, Star, Queen, Purity, Octane, Tech, Snow, Portal, Superstition, Resolution, Score, Feral, Commander, Reverie. Comet, Entity, Spirits, Celestial, Yggdrasil, Zephyr. High Guardian= Pure, Ice, Electric, Dark X Fenrir, Nucleus, Tension, Priest, Tidal, Comet, Realm, Entity, Spirits, Amuka, Star, Queen, Purity, Octane, Tech, Snow, Portal, Celestial, Superstition, Resolution, Score, Reverie, Zephyr. Supremacy, Feral, Yggdrasil, Commander. High Priest: Light, Legend, Ice, Electric: X Fenrir, Tension, Guardian, Comet, Realm, Spirits, Amuka, Star, Queen, Purity, Tech, Snow, Portal, Celestial, Resolution, Score, Yggdrasil, Commander, Reverie, Zephyr. Nucleus, Tidal, Entity, Supremacy, Octane, Superstition, Feral. High Tidal: Sea, Dark, Terra, Metal: X Nucleus, Tension, Guardian, Realm, Entity, Supremacy, Spirits, Amuka, Star, Queen, Purity, Octane, Tech, Portal, Celestial, Superstition, Score, Feral, Yggdrasil, Commander, Reverie. Fenrir, Priest, Comet, Snow, Resolution, Zephyr,. High Comet: Legend, Light, Ice, Flame: X Fenrir, Guardian, Priest, Realm, Entity, Supremacy, Spirits, Amuka, Star, Queen, Purity, Octane, Tech, Snow, Portal, Celestial, Resolution, Yggdrasil, Commander, Reverie, Zephyr Nucleus, Tension, Tidal, Superstition, Score, Feral. High Realm: War, Dark, Light, Metal: X Fenrir, Nucleus, Tension, Guardian, Priest, Tidal, Comet, Supremacy, Spirits, Amuka, Star, Queen, Purity, Octane, Tech, Snow, Portal, Celestial, Superstition, Score, Feral, Yggdrasil, Commander, Reverie, Zephyr. Entity, Resolution. High Entity: Pure, Nature, Sea, Flame: X Fenrir, Nucleus, Guardian, Tidal, Comet, Supremacy, Spirits, Amuka, Purity, Octane, Tech, Snow, Portal, Celestial, Superstition, Resolution, Score, Yggdrasil, Commander, Reverie, Zephyr. Tension, Priest, Realm, Star, Queen, Feral. High Supremacy: War, Flame, Terra, Sea: X Fenrir, Nucleus, Tension, Tidal, Comet, Realm, Entity, Spirits, Amuka, Star, Queen, Octane, Tech, Portal, Celestial, Superstition, Resolution, Score, Feral, Yggdrasil, Commander, Zephyr. Guardian, Priest, Purity, Snow, Reverie. High Spirits: Pure, Nature, Light, Terra: X Fenrir, Nucleus, Guardian, Priest, Tidal, Comet, Realm, Entity, Supremacy, Star, Purity, Tech, Snow, Portal, Celestial, Superstition, Resolution, Score, Feral, Yggdrasil, Commander, Reverie, Zephyr. Tension, Amuka, Queen, Octane. High Amuka: Dark, Flame, War, Electric: X Fenrir, Tension, Guardian, Priest, Tidal, Comet, Realm, Entity, Supremacy, Star, Queen, Purity, Octane, Tech, Portal, Superstition, Resolution, Score, Feral, Reverie, Zephyr. Nucleus, Spirits, Snow, Celestial, Yggdrasil, Commander. High Star: Legend, Electric, Terra, Metal: X Fenrir, Nucleus, Guardian, Priest, Tidal, Comet, Realm, Supremacy, Spirits, Amuka, Queen, Purity, Octane, Tech, Portal, Celestial, Resolution, Score, Feral, Commander, Reverie. Entity, Snow, Superstition, Yggdrasil, Zephyr. High Queen: War, Dark, Metal, Ice: X Fenrir, Nucleus, Tension, Guardian, Priest, Star, Comet, Realm, Supremacy, Amuka, Star, Purity, Octane, Tech, Snow, Portal, Superstition, Resolution, Score, Feral, Commander, Reverie, Zephyr. Entity, Spirits, Celestial, Yggdrasil. High Purity: Pure, Ice, Metal, Dark: X Fenrir, Nucleus, Tension, Guardian, Priest, Tidal, Comet, Realm, Entity, Spirits, Amuka, Star, Queen, Octane, Tech, Snow, Portal, Celestial, Superstition, Resolution, Feral, Commander, Reverie, Zephyr. Supremacy, Score, Yggdrasil. High Octane: Metal, Flame, Dark, Sea: X Nucleus, Tension, Guardian, Tidal, Comet, Realm, Entity, Supremacy, Amuka, Star, Queen, Purity, Tech, Portal, Superstition, Score, Feral, Yggdrasil, Commander, Reverie, Zephyr. Fenrir, Priest, Spirits, Snow, Celestial, Resolution. High Tech: Metal, Light, Electric, Flame: X Fenrir, Nucleus, Tension, Guardian, Priest, Tidal, Comet, Realm, Supremacy, Spirits, Star, Queen, Purity, Octane, Portal, Celestial, Resolution, Score, Feral, Yggdrasil, Commander, Zephyr. Snow, Superstition, Reverie. High Portal: Nature, Dark, Flame, Legend: X Nucleus, Tension, Guardian, Priest, Tidal, Comet, Realm, Entity, Supremacy, Spirits, Amuka, Star, Queen, Purity, Octane, Tech, Snow, Celestial, Superstition, Yggdrasil, Commander, Reverie, Zephyr. Fenrir, Resolution, Score, Feral. High Celestial: Pure, Legend, Light, Terra: X Fenrir, Nucleus, Guardian, Tidal, Comet, Realm, Entity, Supremacy, Spirits, Star, Purity, Tech, Snow, Portal, Superstition, Resolution, Score, Feral, Yggdrasil, Commander, Reverie, Zephyr. Tension, Amuka, Queen, Octane. High Superstition: Dark, War, Pure, Sea: X Fenrir, Nucleus, Tension, Guardian, Tidal, Realm, Entity, Supremacy, Spirits, Amuka, Queen, Purity, Octane, Snow, Portal, Celestial, Resolution, Score, Feral, Yggdrasil, Commander, Reverie. Priest, Comet, Star, Tech, Zephyr. High Resolution: Pure, Electric, Ice, Flame: X Fenrir, Nucleus, Tension, Guardian, Priest, Comet, Entity, Supremacy, Spirits, Amuka, Star, Queen, Purity, Tech, Snow, Celestial, Superstition, Score, Reverie, Zephyr. Tidal, Realm, Octane, Portal, Feral, Yggdrasil, Commander. High Score: Terra, Electric, War, Sea: X Fenrir, Nucleus, Tension, Guardian, Tidal, Realm, Entity, Supremacy, Spirits, Amuka, Star, Queen, Tech, Snow, Celestial, Superstition, Resolution, Feral Comet, Purity, Octane, Portal, Yggdrasil, Commander, Reverie, Zephyr. High Feral: Primal, Terra, War, Metal: X Fenrir, Nucleus, Tension, Tidal, Realm, Supremacy, Spirits, Amuka, Star, Queen, Purity, Octane, Tech, Snow, Celestial, Superstition, Score, Yggdrasil, Zephyr. Guardian, Priest, Comet, Entity, Portal, Resolution, Reverie. Yggdrasil: Nature, Primal, Light, Sea: X Nucleus, Tidal, Comet, Realm, Entity, Supremacy, Spirits, Octane, Tech, Snow, Portal, Celestial, Superstition, Score, Feral, Commander, Zephyr. Fenrir, Tension, Guardian, Priest, Amuka, Star, Queen, Purity, Resolution, Reverie. High Commander: Sea, Metal, Nature, Light: X Nucleus, Tension, Priest, Tidal, Comet, Realm, Entity, Supremacy, Spirits, Star, Queen, Purity, Octane, Tech, Snow, Portal, Celestial, Zephyr. Fenrir, Amuka, Superstition, Resolution, Reverie. High Reverie: Pure, Ice, Legend, Dark: X Fenrir, Nucleus, Tension, Guardian, Priest, Tidal, Comet, Realm, Entity, Spirits, Amuka, Star, Queen, Purity, Octane, Snow, Portal, Celestial, Superstition, Resolution, Zephyr. Supremacy, Tech, Score, Feral, Yggdrasil, Commander. High Zephyr: Primal, Light, Ice, Flame: X Fenrir, Guardian, Priest, Comet, Realm, Entity, Supremacy, Spirits, Amuka, Queen, Purity, Octane, Tech, Snow, Portal, Celestial, Resolution, Feral, Yggdrasil, Commander, Reverie. Nucleus, Tension, Tidal, Star, Superstition, Score. 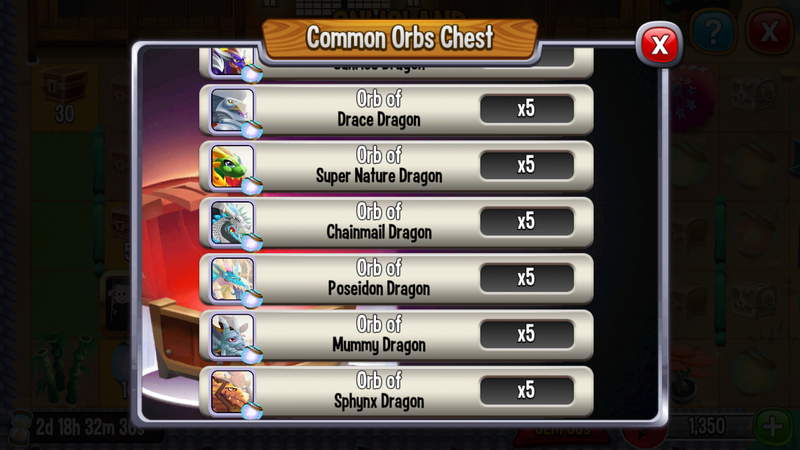 I first added all heroic dragons and their elements, after that I looked at heroics with duplicate elements and placed them after the X. I then added all heroic dragons which did not share any type and placed a .
Lastly I looked for dragoons who did not share any type with more than 1 dragon and see if that dragon also shared no types. 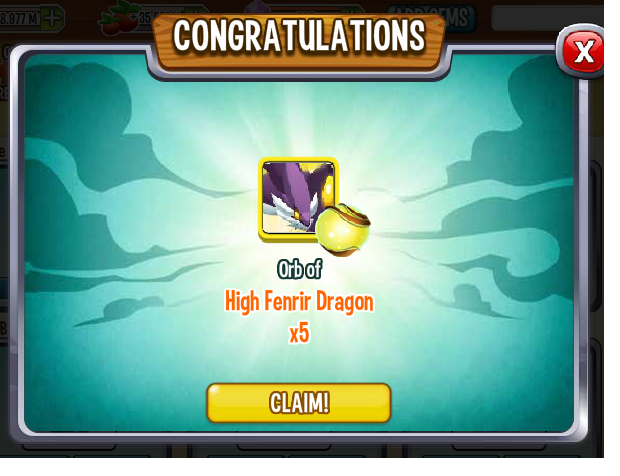 Fenrir + Tidal do not share types, the other dragons that don't share types with Fenrir do however share types with Tidal, Octane has water et cetera. This project took me 10 hours. If you want to be guaranteed to get Heroic Orbs go to lap 19 you will get 25 Heroic Orbs.